Want to be added to our once a week newsletter? In yoga, the sanskrit word seva literally translates to: selfless service. As humans, we can utilize seva to nurture and form deep connections by working together to contribute to others while building community. Join us as we gather together for a day of seva and re-connection to the Earth. We will begin the day cultivating the land alongside a local farmer, followed by a farm-to-table lunch infused with the farm’s scrumptious produce. The afternoon will bring a grounding all-levels yoga class taught by Hannah Lancaster. 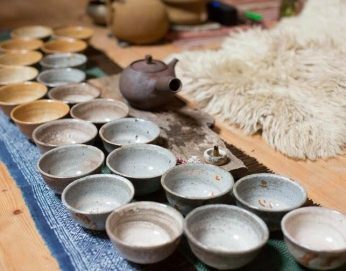 Afterwards, we will wind down the day and steep in the benefits of seva with a sacred tea ceremony and closing meditation guided by Margaret Summersell. We invite you to take part in this humbling experience of honoring our connection with our inner selves, with each other, and with the Earth.